Fat Gripz. Done throughout the workout. Slipped off my shoulders on the 3rd rep. Was able to re-rack the bar though. 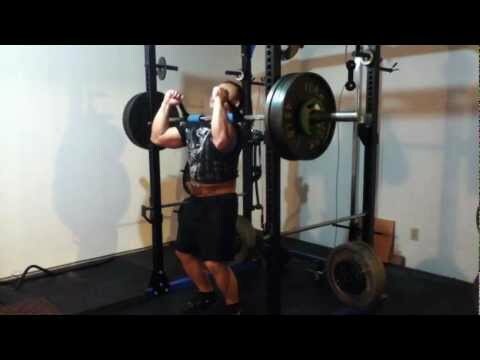 Bar rolled off my shoulders onto the safeties at the bottom of the squat. Drop set. Done right after last set of neck side flexion.